Channel Transitions East is scheduled for July 22 at the Hilton Boston Logan Airport. Channel Transitions Conferences focus on helping VARs transitioning from break/fix to the as-a-Service business model, one of the most important topics in today’s IT channel. Walsh is one of the most recognizable figures in the IT channel and is considered one of the more forward-thinking leaders in the industry. As the founder of The 2112 Group – a business strategy firm focused on improving the performance of technology companies – he works with clients ranging from Fortune 100 service providers to innovative start-ups on growth strategies, enablement, and channel program development to drive repeatable revenue. 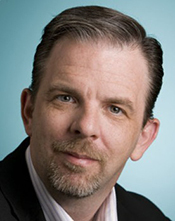 An award-winning journalist, Walsh is also founder of Channelnomics.com, a blog about the business models and best practices of indirect technology channels. Business Solutions is a partner of The 2112 Group, collaborating on channel research and technology trends analysis. Channel Transitions is sponsored by: GFI MAX, Mercury, and F-Secure along with industry association partners CompTIA, The ASCII Group, and the Retail Solutions Providers Association (RSPA). Business Solutions is the channel leader in educating VARs, MSPs, and ISVs on the transition to the as-a-Service business model and establishing a recurring revenue stream. Business Solutions has published several feature stories, case studies, opinion columns, and special guides on this important topic. BSM subscribers said they wanted even more information – including the opportunity to network with other channel partners who are focused on this transition and services-oriented vendors. From that, the Channel Transitions VAR/MSP Executive Conferences were born.